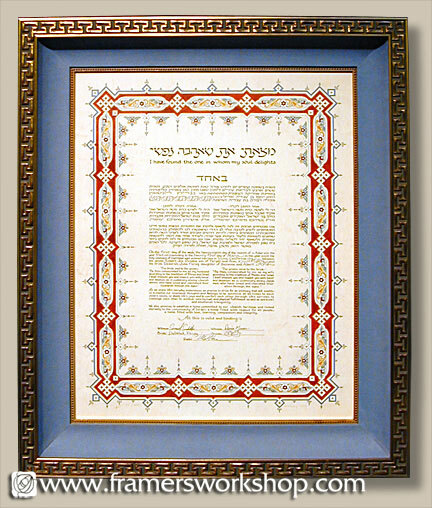 We framed this detailed Ketubah with a blue velvet liner enhanced by a gold beaded fillet with red highlights. We used a key pattern frame which accented the angles in the Ketubah design. Thie piece was finished with Conservation Clear Glass.